Jacinto City, TX — Thursday, June 22, 2017 — At the City Council meeting the city hosted and recognized the Top 10% scholars residing in the city from Galena Park High School and Furr High School. The diverse group of scholars will be pursuing careers ranging from criminal justice to engineering to education. They are a microcosm of what Jacinto City is all about, hard work, values, integrity, and perseverance. The students received a certificate of achievement, a Jacinto City lapel pin and embroidered city cap. Cake and refreshments were provided to students and citizens in attendance. City Manager Lon Squyres reported a 75/25% Community Development Block Grant to fund the engineering study cost for water line replacement for the streets east of Kerby to Holland Avenue. The total projected cost if approved is 1.2 million with the city paying 25% or $30,000. Squyres issued a plea for residents to help control mosquito breeding in their neighborhoods by keeping their grass mowed and removing water in any outside containers. Citizens allowing their lawns to exceed 9 inches in height is subject to a fine. There are reports that six pregnant women in Harris County have the Zika virus which deforms the baby’s brain. The City of Houston proclaimed May 16, 2017 as San Jacinto College in the city. Pictured, left to right: Francisco Bautista, 2017 San Jacinto College graduate; Dave Martin, Council Member, City of Houston, District E; Marie Flickinger, Chair, San Jacinto College Board of Trustees; Dr. Brenda Hellyer, Chancellor, San Jacinto College; Cheryl Curtis, 2017 San Jacinto College graduate; Sylvester Turner, Mayor, City of Houston; Dan Mims, Vice Chair, San Jacinto College Board of Trustees; Dwight Boykins, Council Member, City of Houston. Photo credit: Jeannie Peng Mansyur, San Jacinto College marketing, public relations and government affairs department. 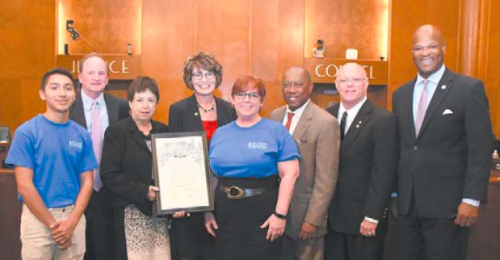 PASADENA, Texas – San Jacinto College continues to receive recognition from local and state elected officials and leaders for being named an Aspen Prize for Community College Excellence Rising Star recipient. State leaders Sen. Sylvia Garcia (TX-6), Rep. Greg Bonnen, MD (TX-24), and Rep. Mary Ann Perez (TX-144) each congratulated the College with resolutions and recognitions from the state. City of Houston Councilmen Dwight Boykins (District D) and Dave Martin (District E) presented the College with a proclamation declaring May 16, 2017 as San Jacinto College Day in Houston. As a 2017 Aspen Prize finalist, San Jacinto College is recognized as one of the top five – out of more than 1,100 – community colleges in the nation. To read more about the College’s Aspen Prize honor, visit sanjac.edu/aspenprize. 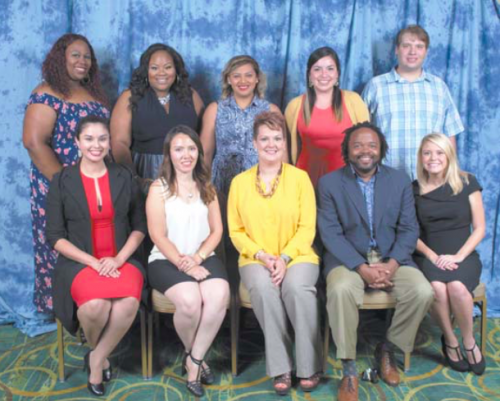 The Rising Star Teachers of the Year were announced at the Channelview ISD Employee Recognition Ceremony. Educators honored were, standing from left, Senae Harris (McMullan Elementary), Claudette Best (Brown Elementary), Candy Ramirez (Pre-Kindergarten), Jessica Amaya-Curiel (Crenshaw Elementary) and Anthony Nutt (Kolarik Ninth Grade Center). Sitting from left are Geovanna Hernandez (Cobb Elementary), Jasmin Moreno (Schochler Elementary), Kaitlyn Grant (Aguirre Junior High), Manolito Smith (Alice Johnson Junior High) and Marina McKinney (DeZavala Elementary). Not pictured: Krista Simpson (Channelview High School), Jesus Villegas (Campbell Learning Center) and Angelica Armenta (Hamblen Elementary). CELEBRATE THE 4th WITH FIREWORKS! The Annual 4th of July celebrations are scheduled for Galena Park, and Jacinto City, as well as other area towns and organizations. Galena Park will hold its 2nd Annual Festival behind the swimming pool, with activities, food, and music. 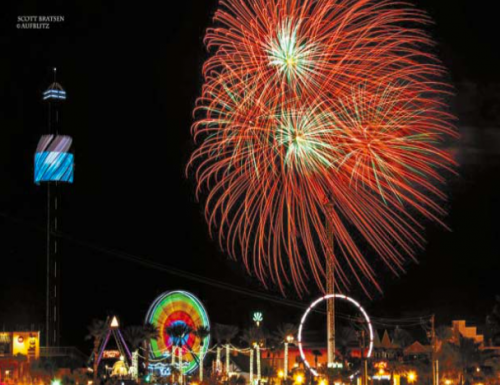 The celebration is from 2 to 10 pm, with fireworks around 9 pm with a joint display with Jacinto City. The swimming pool will also be open, and free, from 2 pm to 7 pm. Baytown’s fireworks are at 9:30 on July 4th, in Bicentennial Park. They are having a two day festival starting at 6 pm on Monday night, July 3. Traditional Fireworks will light the sky this 4th of July, at the Crosby Church, at 5725 Highway 90. This yearly tradition at the church will include a Fourth of July Celebration that includes Music, Inflatables, Concessions, and Fireworks. The event starts at 6 pm, and there is plenty of free parking. The church suggests you bring lawn chairs, a blanket to sit on, and have a good time.